Port Moresby, PNG, 11 September 2018 -- Today, September 11th, young Cl. 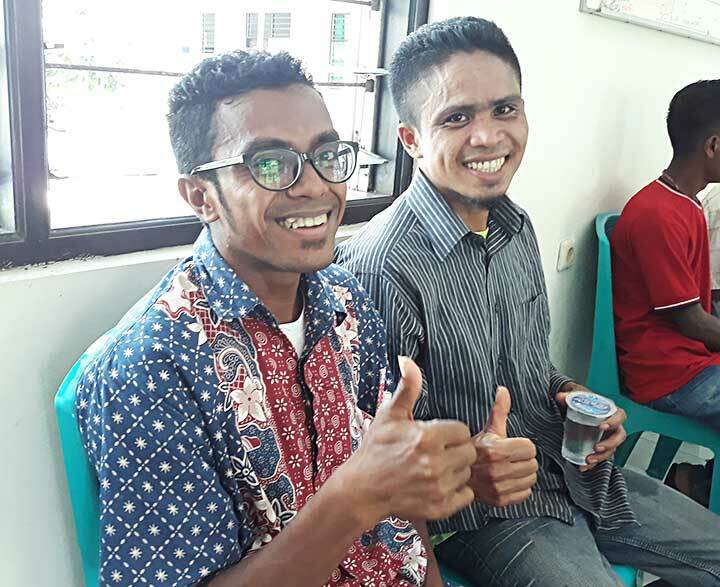 Paulus Bataona (aka "Noce") from the newly born Vice-province of Indonesia (INA) has safely landed in Port Moresby, Papua New Guinea. He will be in the Provincial House for 3 weeks of Cultural Orientation for all new missionary arrivals. 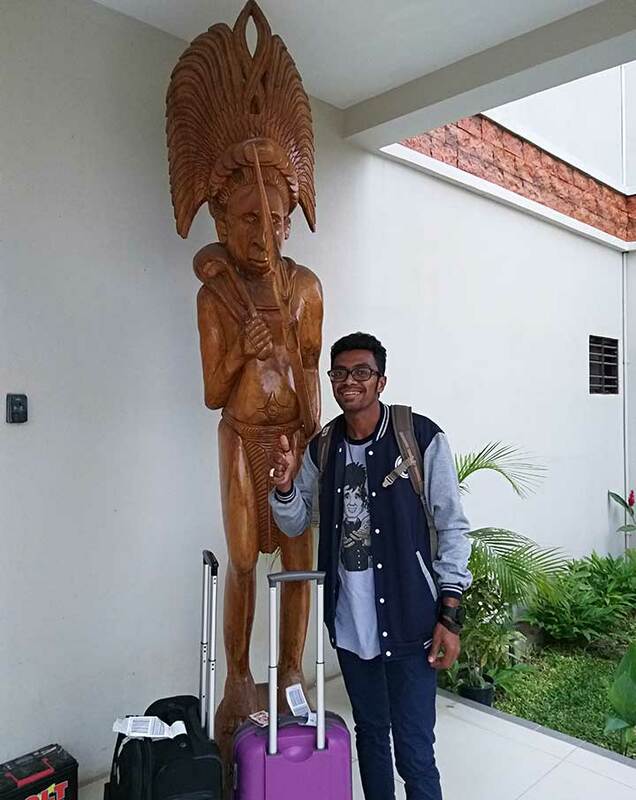 Then he will be sent to a Don Bosco Kumgi (Highlands of PNG) as his initial introduction to our Province and also to improve his English. Cl. 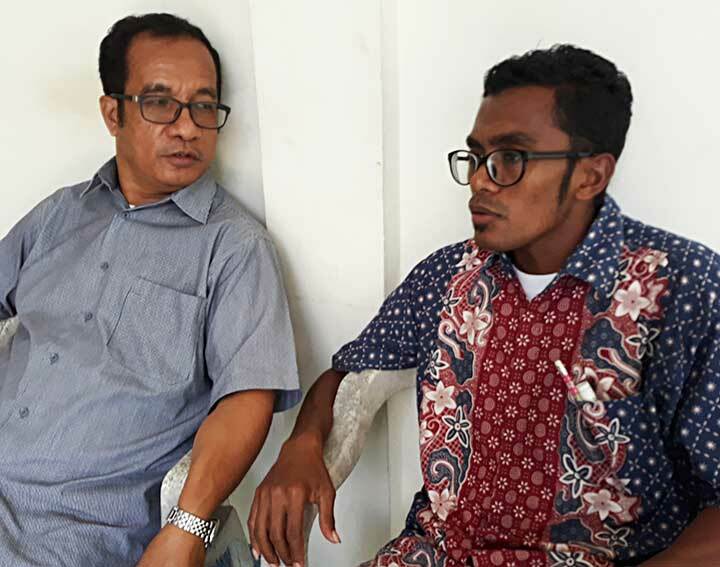 Paulus is one of the missionary candidates, who already wrote to the Rector Major: ".... the missionary dream was always in my heart since I was in the novitiate in Sumba, Indonesia, in 2012-2013. Since I became a Salesian 5 years ago, I always admired the Salesian missionaries and their witness. After much prayer and deep discernment, with the help of Mary Help of Christians and of Saint John Bosco, I decided to write a request for the mission ad gentes. I believe that is where the Lord wants me, to be a missionary. I am interested about the missionary life style, witnesses and missionary spirit to proclaim the Gospel, where the Church is not yet fully established. The missionary attitudes challenge me to give my whole life for the young, especially in the Salesian way. With great longing, I wish I can be accepted as a missionary..."
As many other young missionary candidates, the discernment process involves the formators, provincial superior and councilor for the missions. There was a clear and peaceful conclusion: in order to confirm fully the missionary call, we would send Paulus (Noce) to some challenging frontier mission for one year as part of the discernment. Just 6 months after his missionary request to the Rector Major, Paulus started his 'on job discernment' in PGS Viceprovince. 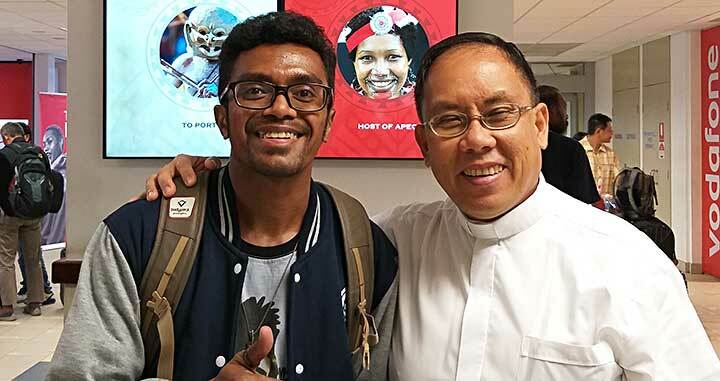 From the PGS side, there is a clear guideline and program for all 'temporary' missionaries, including also practical trainees in discernment of missionary vocation. The PGS Provincial community is grateful to the INA Vice-province for sending Cl. Paulus to Papua New Guinea. Fr. Alfred Maravilla shares: "We hope that this will be the beginning of a closer collaboration between our two Vice Provinces!" On the 11th of the month, we remember and prayer especially for the new missionary vocation and the strength of all those who are facing some difficulties in their missionary life! 4850(II)_How to pray together with non Christians? 4849(I)_Happy 24th Birthday to the CDB Family around the world!